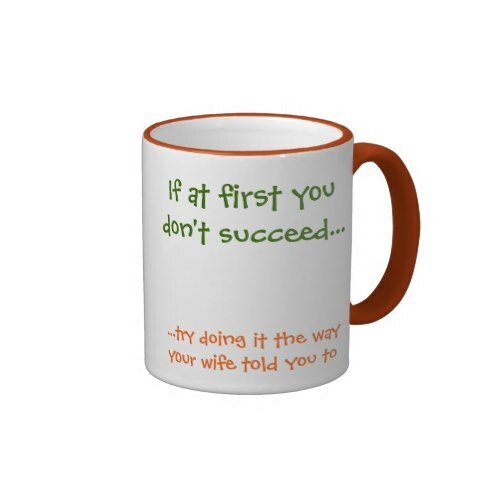 A funny, humorous, coffee mug, featuring precious, life changing pearls of wisdom, by some very very wise men, for husbands all over the world. Wisdom, tried and tested, passed down from generation to generation. An awesome coffee mug, makes a truly special gift for birthday, anniversary, wedding, christmas, holidays, fathers day, or any regular day. Fun mug for your boyfriend, husband, dad or for anyone in your family and friend circle you want to rescue, enlighten, save in time.